We are a leading architectural design company, established in 1998, specializing in the preparation of building plans for both residential and commercial developments. 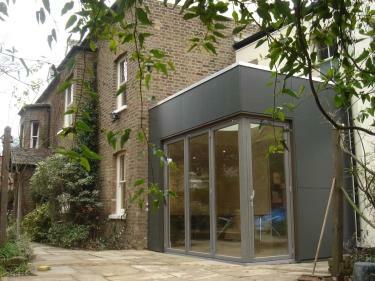 We have detailed experience in Planning Permission, Permitted Development Rights and the Building Regulations. We have a broad client base, centered on Bristol in the West and London to the East. Our offices cover the South West, South East and Central England. For general enquiries call us on freephone 0800 043 2065. For the homeowner, an extension or conversion can rebalance the way the whole property works visually and spatially, bringing to it a new dimension. As well as increasing available space, it is also the ideal opportunity to create a contemporary environment incorporating high technology systems and lighting into the home. Aztechs skills at negotiating the planning process and your Permitted Development rights has enabled owners to achieve previously unattainable goals. Structural and spatial alterations to a home can transform it beyond expectations and offers far more than is possible with interior design alone. We have the vision and experience to see the genuine potential of your home, sensitively remodeling it to create a perfect setting for a contemporary lifestyle, creating a balanced functional space, transforming the way you live. We are the first company in the UK to offer a fixed fee online quotation service for architectural building plans, please visit our website and complete online quotation and you will be emailed an instant quotation.